People in Des Moines Metro & Surrounding areas trust us to complete even difficult cleanup jobs. We Can Make Your Place Sparkling Clean! Welcome to Mary's Cleaning Care Inc - the home of Des Moines Metro & Surrounding areas finest janitorial services. As a local provider of professional janitorial services, Mary's Cleaning Care Inc has attracted the attention and business of countless Des Moines Metro & Surrounding areas clients. With the goal of being the top local choice, we offer quality janitorial work that is designed to understand what our customers need and the best way to deliver the desired results. Analytical and service-oriented, our process has been perfected over the years and we're proud to be veritable janitorial specialists. Courteous and Professional - Your point of contact at Mary's Cleaning Care Inc will always have the right attitude to inspire trust and deliver the service you want. Technically Advanced - Both in regards our knowledge and our equipment, we stay ahead of the curve to be the most technically evolved janitorial company in Des Moines Metro & Surrounding areas. 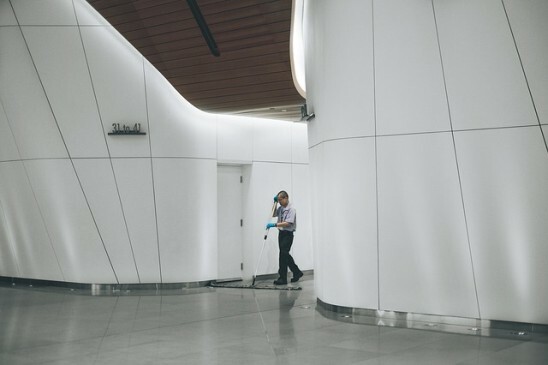 First and foremost, you need your janitorial service provider to be reliable, arriving on time and completing all cleaning tasks as requested. At Mary's Cleaning Care Inc in Des Moines Metro & Surrounding areas, dependability is just the beginning. We'll always be there for a scheduled cleaning and deliver spotless results that will inspire trust. The cost of janitorial services in Des Moines Metro & Surrounding areas can differ widely from firm to firm, but we have a simple formula – a fair price for both us and our clients. By charging competitive rates and delivering exceptional performance, we're sure you will call us again. While on the job, you can expect each member of the Mary's Cleaning Care Inc team to be focused on the janitorial tasks at hand. We know that being efficient has a direct effect on our customers - by minimizing the time it takes to clean your space, we're even less of an imposition. Our janitors often come to our Des Moines Metro & Surrounding areas client locations during off-hours, so your interaction with us could be minimal. However, we aim to make even those few short minutes count and you can be sure that every meeting or phone conversation with Mary's Cleaning Care Inc will be professional and respectful. Mary’s Cleaning Care is always ready and prepared for your cleaning needs. Whether you’re looking for contracted services or one-time help, we will provide you with quality service! Our rates are reasonable and competitive, but we are also more than happy to work with you to fit your budget! Best of all, all estimates are complementary.